applying to a russian consulate on our Visa Invitation. All fields must be filled in correctly. The data that you specify in the form must fully comply with passport data of the applicant. For the correctness and accuracy of the provided information, is the sole responsibility of the user. We will not bear any responsibility and refund the cost of the voucher in the event of visa refusal, if the reason for the refusal was inaccurate, incorrect or misleading information that you have specified in the voucher. In the issued voucher is not allowed changes in the nationality, name, name, date of birth and passport number. Any such change shall be made in the form of a new order, and paid as a new order. Date of entry into Russia should be correct and may not be the date of voucher issue. Date of departure from Russia should be within one month from arrival to Russia, including the day of entry. We do not recommend you a total travel time more than 14-17 days. Otherwise, additional documents may be required when applying to the Russian consulate. Contact email should be existing one. You will receive important information to your contact email. After placing the order, you will be asked to pay for your order, if payment is made, you will immediately receive a copy of your ordered invitation to the specified E-MAIL address. Report us the problem with the order obtaining. 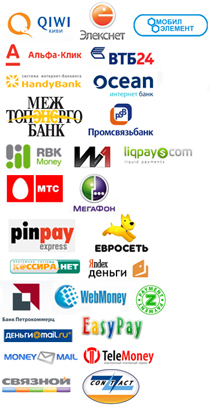 To contact us, You have the following ways: E-MAIL to our address info@llcentre.ru; Skype - our address bsclub.ru; widgets and buttons of online chat on all pages, feedback form at https://visa.llcentre.ru/ouroffice.php; Phone +74957220088, free phone call button on the pages of our site. Paid order cancellations and refunds are only possible when the request is received by us before the closure of the office on the day of payment, or if payment is made in a weekend or holiday, the end of the next working day. Later, requests for cancellation and refund are not accepted. The copy that you receive is a legal copy of your Tourist Visa Invitation issued at our office. Some times the invitation number assigned when processing may be changed, as you will be notified in addition. Without the hotel your voucher is not valid and is subject to cancellation. Visa on this voucher will not be issued. In some cases, the Consulate may request additional confirmation of hotel booking. For this case, we recommend that you book the hotel, which you specify in the Voucher, and print the confirmation for the Consulate. Our company does not bear any responsibility for the costs incurred by the user (Customer) in connection with the purchase on this site and does not compensate for the costs of Service fee, consular fees, insurance, tickets, booking of accommodation, etc. Our responsibility is always and under any circumstances limited by the amount of purchase on this site and under no circumstances can exceed it.